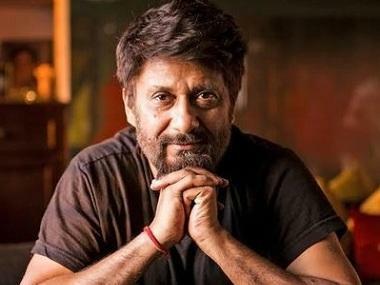 After The Tashkent Files makers were served a legal notice by grandsons of former prime minister Lal Bahadur Shastri, seeking a stay on the film's release, director Vivek Agnihotri said in a statement that the move is politically motivated. In his statement, Agnihotri said that the Lal Bahadur Shastri's grandson is a member of Congress and alleges that "they have been coerced to do this by the top family." Contrary to the notice, which demanded that the film be screened for the family before its release in theatres, Agnihotri stated that they have seen the film, "appreciated it and expressed their gratitude to me in person in the 7 April in Delhi at PVR." "Why am I being constantly bullied, threatened to release the film? Why are they scared of a movie that raises some questions on a citizen’s #RightToTruth?" Agnihotri asked in his statement. Shastri's family has questioned the timing of the film's release, clashing with the first phase of the 2019 Lok Sabha elections beginning on 11 April. They have also alleged that the makers did not seek permission from the immediate family members of Shastri, adding that they do not bear any doubt regarding the leader's death. By his own admission, Agnihotri's film is the "most apolitical film on a political figure". While official reports claim that the former prime minister died of a heart attack, several conspiracy theories suggest that Shastri was poisoned. The theories are bolstered by the fact that his personal physician, who said that Shastri had so sign of heart trouble before, was killed in a road accident shortly after his death. Agnihotri had announced in January that he would make a film on the "truth of the biggest cover-up of free India" on Twitter. The Tashkent Files features Mithun Chakraborty, Naseeruddin Shah, Shweta Basu, Pankaj Tripathi, Vinay Pathak, Mandira Bedi, Pallavi Joshi, Ankur Rathee and Prakash Belawadi.